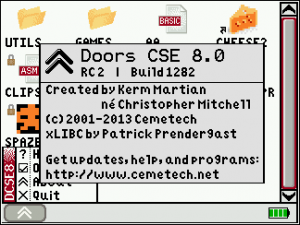 08 Nov 2013 - TI 84 plus C se : Release of Doors 8.0 CSE ! 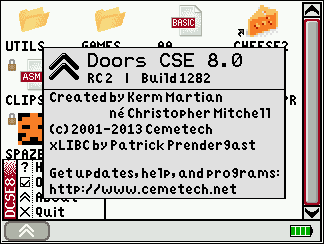 KermMartian, our beloved genius and prolific community member (Author of books, webmaster of Cemetech) release his ultimate shell for ti84 plus Color se ! 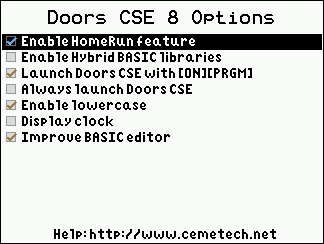 Have a look immediately at this doorcs8 page and give it a try ! 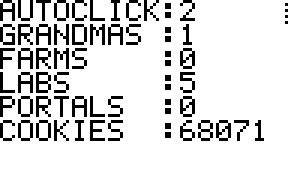 Maybe some of you don't know the game Cookie Clicker ? 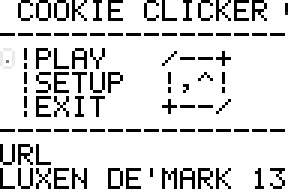 But I found another basic Cookie Clicker from Luxen ! First download the game here. Notice there's more than one file... That's because this is a 8xg which is a "Group" file ! Keys are user friendly (use enter to validate, arrows to move, enter to click cookie). There's also another cookie clicker clone from Omar Chebab. But I don't tested it ! 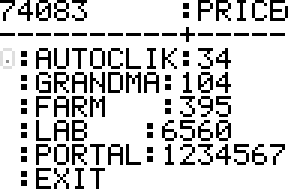 To conclude, there's a coockie clicker for ti84plus cse from peter schmidt. You're ready to play cookie clicker on your ti84 plus now ! 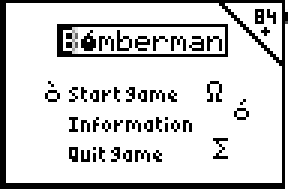 08 Nov 2013 - Basic Bomberman84 : Install instructions and review ! 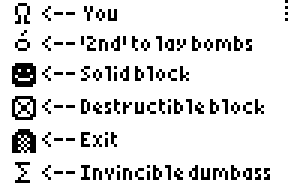 I noticed a nice basic game released on ticalc, a small basic bomberman called Bomb84 from Villicus. First download the game from here. 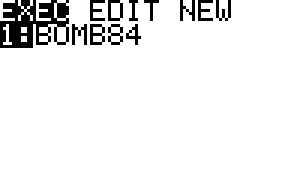 (The title is animated, with a kind of loading bar on "Bomberman"). 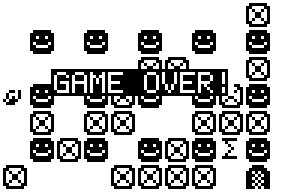 And the game quit (would be nice to return to the menu instead of leaving game completely). 08 Nov 2013 - Omnimaga contest "Calculator gaming roots" is close to be finished ! The famous Omnimaga community website organized a nice contest with a focus on addictive games. 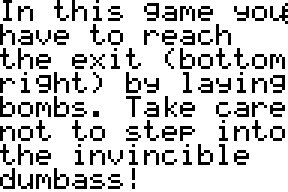 1: The game must not contain adult material or extremely offensive content (such as racial slurs). 2: You are not allowed to enter a project that was started prior the start of the contest. You can use code, images, and ideas from it, though. 3: You are allowed (and encouraged) to announce updates and screenshots of your project anywhere, but you are NOT allowed to provide any download copies of it (or the entire source code) to anyone until the end of the contest. 4: Help is allowed, as long as you respect rule #3. Also, keep in mind that usage of other people's code may affect your originality score considerably. 5: You must have a forum account to participate. 7: Your entry must be submitted before November 6th 2013, 11:59 PM UTC-5. We will not be accepting any more entries past this deadline. 8: Omnimaga has the right to change and modify the rules at any time. Forum members interested in judging should message a staff member. You may judge any category that you are not participating in. A grading rubric will be posted soon as it has been typed up. The contest will end up soon and you only have 12 days to post your entries. Deadline is november the 6th. This is an howto about C compilation for ti83 calculator. This topic will talk about C programming for TI83 regular (neither ti84+ nor ti83+). 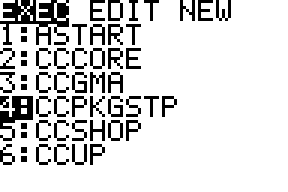 There's some kind of compiler for z80 platform, you can use sdcc or z88dk. Here I only tested with z88dk. You also need to get bin2bin83 as you will produce a noshell program. Compile it and put it in your path. 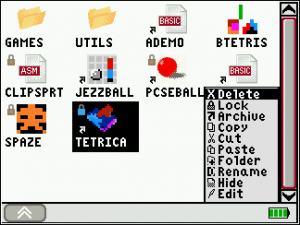 If you want to do asm stuff, prefer spasm to z80asm. We simply do a printf and a while loop. The loop is to have the time to see the result before the program exit. +ti83 : the target (the model which could be ti82, ti86 etc... or even zx spectrum -&gt;"-zx"). As there's often some trouble to launch a file without shell using Send(8pgrmHELLO I will use my own tool to unsquish the code then use bin2var after that instead of using the embedded z88dk create application. 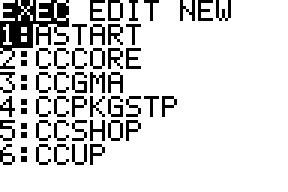 If we look inside the generated hex code, it's better. 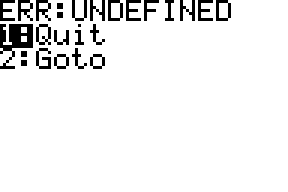 All seems OK (header, unsquished code, footer etc...) but when I run it, nothing appears. 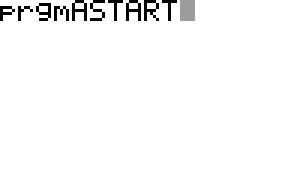 So we add "-startup=10" to our command line. Then we load the file into the emulator like TilEm2. 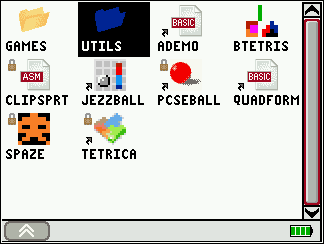 I also have some more advanced code samples, tell me if you're interested in.